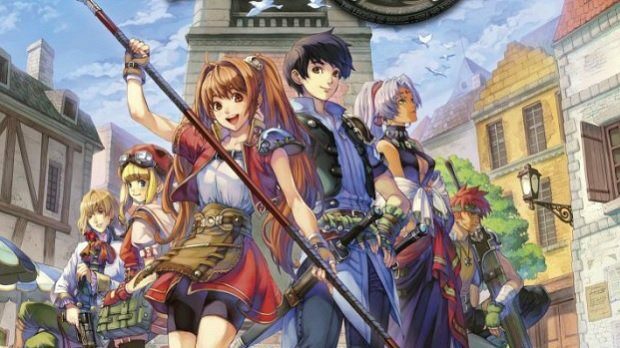 XSEED has just started a localization blog for The Legend of Heroes: Trails in the Sky Second Coming on its official Tumblr page. Trails in the Sky SC’s text is done. I announced this back in January when I passed in the last file, but I think even those who know can sit back and appreciate that statement one more time. 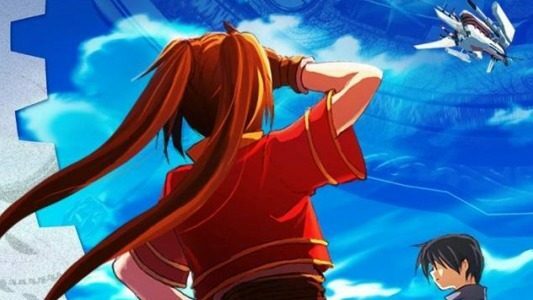 Trails in the Sky SC, a game that’s been baking in Gehenna’s oven for almost four years now, is finally on its way to something like an actual release date. Initially, my duty on Trails SC was to oversee the project in a general sense. As the original editor for the previous game (and a person with the intimate and inane details of hundreds of NPCs burned into her brain), I was the logical choice to look over the sequel. 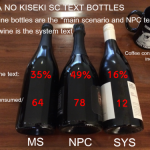 I was to go over the edited files as they were finished, ensure the tone didn’t stray too far from FC, and fiddle with treasure chest text whenever a new bottle of wine was opened. From November 2013 until mid-2014 I busied myself with sifting through the main scenario, reformatting that text into a usable format with attractive windows, meddling here and there, and pulling the terminology into line. 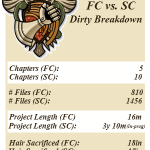 System text was not translated at the time the main scenario or NPC files were done, so I also took a seven month stroll through nightmare memory lane revisiting FC’s system text to make sure SC’s files matched internally and externally. This lead to a lot of amusing notes being added to the massive spreadsheet of NPCs I had created before I started on the project and some embarrassing discoveries. You can read more in the full blog post linked above. Also, feel free to enjoy these hilarious “charts” Jess made up depicted some fascinating statistics.